Bayern Munich vs Borussia Monchengladbach predictions for this weekend’s German Bundesliga. 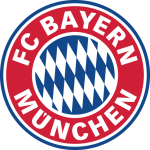 Bayern Munich look to shake off an uncharacteristic three-game winless run across all competitions against Gladbach at the Allianz Arena on Saturday. Read on for our free betting tips and match preview. A midweek Champions League draw at home to Ajax did little to remove the dark cloud that has loomed over Bayern these past weeks. The Bavarians are now winless in three competitive outings following Friday’s loss away to Hertha – coach Niko Kovac’s first defeat as manager at the club – and a draw at home to Augsburg in the matches prior. On a positive note, excluding long-term injury casualties Kingsley Coman and Corentin Tolisso, coach Kovac has a full-strength squad to choose from on Saturday. He’ll be looking for another inspirational performance from veteran Arjen Robben who has scored in all three of Bayern’s home games in the league this season. Bayern’s opponents are off to their best start to a Bundesliga campaign in four years having taken 11 points from 6 games. However, while they have a perfect record at Borussia Park (W3), Borussia Monchengladbach are yet to win on the road this season (D2 L1). Coach Dieter Hecking has done lots of tweaking throughout this season too but only two players have remained constant – French striker Alassane Plea and Belgian winger Thorgan Hazard. Plea is one of the most prolific summer signings so far this season, having netted four goals for Gladbach since his move from Ligue 1 side Nice. Combined, he and Thorgan Hazard have notched 13 competitive goals so far this season. So what do we think for this match then? Well, we feel the value is in goals. There’s one notable consistency with Bundesliga matches at the Allianz Arena, and that’s entertainment. Bayern love nothing more than putting on a show for the home fans – the Bavarians have won 16 of their 20 matches at the Allianz Arena since the start of the 17/18 season, and 12 of these have been wins with over 3.5 total goals scored (63%). 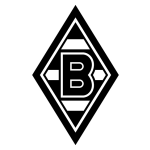 Meanwhile, Gladbach haven’t been too shy of scoring goals either, and their mixed defensive form has seen over 3.5 goals scored in 50% of their matches this season, including in each of the last three (one 4-2 defeat away to Hertha Berlin, one 3-1 win at home to Eintracht Frankfurt and one 2-2 draw away to Wolfsburg). It’s tough to get one over on Bayern Munich, especially at home in the league, and what makes this particularly tough for Borussia Monchengladbach is their recent travelling record. Gladbach have won just one away match in the league since December 2017 (W1 D4 L9) and this should be a difficult trend to break against the Bundesliga’s joint best defense, particularly with Manuel Neuer once again a permanent fixture between the sticks. Gladbach do seem to have found their shooting boots though, not only scoring in every match so far this season, but also ranking 5th overall for shots on goal this season (85). Bayern Munich have failed to keep a clean sheet in any of their last six Bundesliga home matches too, so you’d have to fancy the visitors for a goal. However, with Gladbach conceding two or more in three of their last four on the road, we can’t see them bettering Bayern on Saturday. Our prediction: 3-1 Bayern. Bayern Munich have won 16 of their 20 matches at the Allianz Arena since the start of the 17/18 season (80%). Over 3.5 goals were scored in 67% of Bayern’s home and Gladbach’s away matches this season. Over 3.5 goals were scored in 71% of Bayern’s home matches last season. Bayern have scored three goals or more in six of their last eight home outings in the Bundesliga. Gladbach have scored at least one goal in each of their last six away matches in the league.